As anyone who has done it will tell you, adopting a rescue dog is one of the most rewarding things that a person can do in life. It improves your life immeasurably, making you happier and healthier, and also gives the pup in question their happily-ever-after. Or at least, that is the plan. The dog above is a Lab mix by the name of Wall-E. 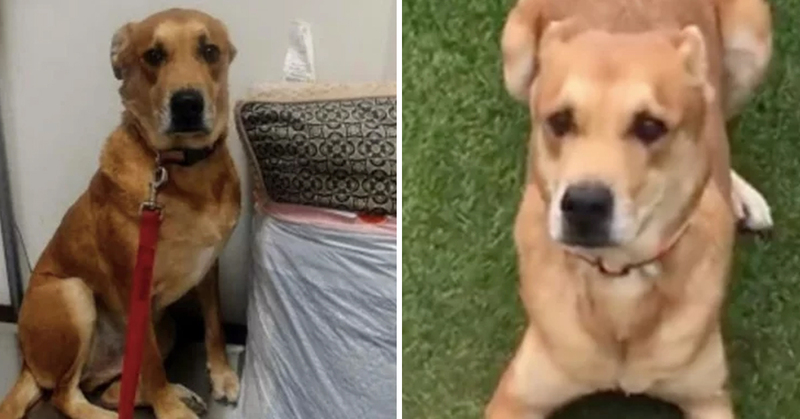 He was first adopted from Maricopa County Animal Care and Control (MCACC) in 2015 when he was just three, and had been loving life with his new family ever since. However, it didn’t turn out to be the “happily-ever-after” that everyone had hoped for. Wall-E ended up being left by his family at the shelter they adopted him from, along with his bed and all of his favorite toys. 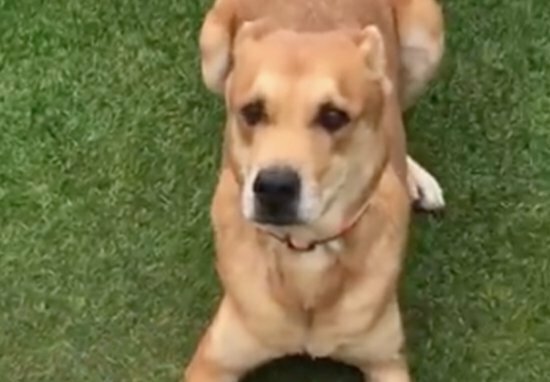 Confused and alone, the six-year-old Lab mix couldn’t understand why his family were bringing him back to the shelter which they had adopted him from just three years earlier. For the dog-lovers among us, it can be instinctual to judge owners who do this, but it seems like there’s a lot more to the story. 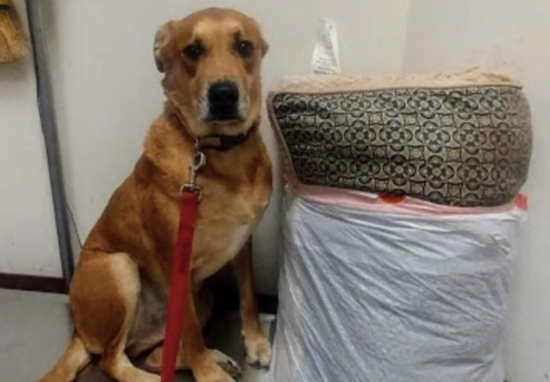 His toys and bed were packed into two plastic bin bags as his owner reportedly cried as he said goodbye to the dog. This is obviously a decision that was made out of necessity, and at least the family took him to a safe place with his favorite toys. Unfortunately for Wall-E, this still meant the Lab was back to square one. In a post to MCACC’s Facebook page, the shelter posted a picture of Wall-E along with an explanation about how he came to be there. Indeed, it must have been heartbreaking for the family to say goodbye to such a sweet boy. It makes me so sad to think of this poor pup in this position. This went on for two months, with people passing Wall-E by and him becoming more and more withdrawn. But then, everything changed when Jordan had an idea. He decided to tell the Lab’s story on Facebook for the world to see, explaining how he came to be there and the circumstances surrounding his current position. Luckily, it worked; the post received much more attention than expected and Wall-E has since been adopted and found his forever home. A woman called Lynn Lee soon saw the post, and immediately made her way to the shelter to meet Wall-E. The two became close straight away – so much so that only the day after the Lab’s story was shared online, he was adopted and on his way to his new home with Lynn. I’m so glad Wall-E found a new home. Let’s just pray that it really is his ‘forever home’ this time around.